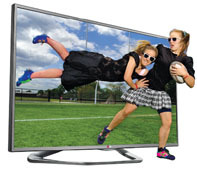 Price of LG 42LA6130 Full HD Cinema 3D TV in India. This model of LG 3D Television is with screen size of 42 Inch. Main features are Comfortable 3D Glasses, Dual Play, 2D to 3D, MHL Compatible.